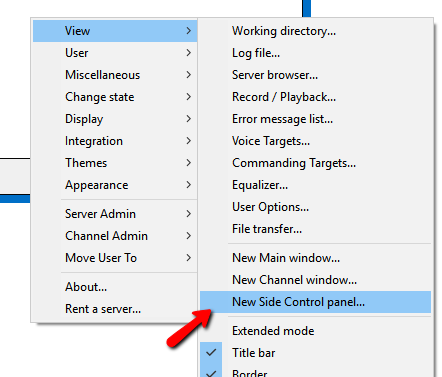 How To make Side Control Panel windows. 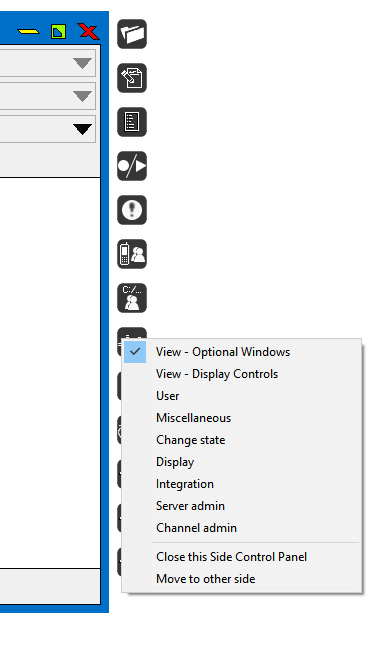 This guide will show you how to make and use the Side Control Panel (SCP) Windows. Side Control Panels (SCP's) are a new feature to VentriloPro, which allows you to use some of the main "Right Click" function windows with a click of a button. You can have multiple SCP's active at once, on either side of the client for a variety of options just 1 click away. 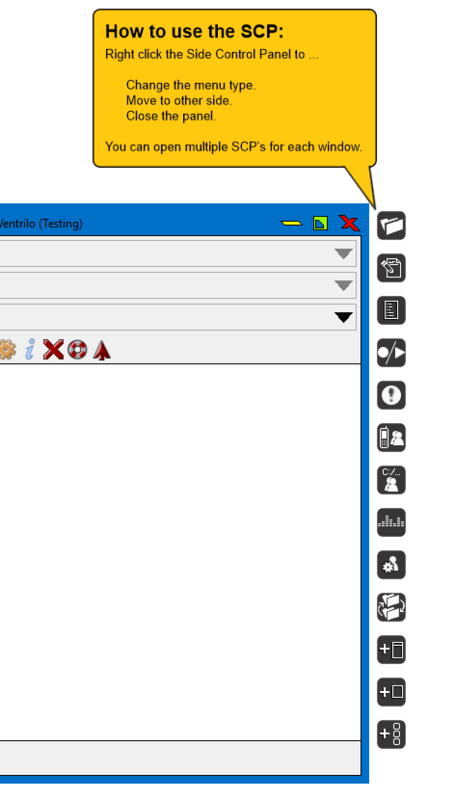 Right click in the white area of the VentriloPro client and click "View" > "New Side Control Panel". A new SCP window will appear and a guide will assist you the first time you add a window with how to change Functions. You can right click on the SCP to change its function, add a new SCP, change the location, or close the SCP entirely. SCP's are only visible when the client is selected and in the front of other windows.